To ensure the clean and healthy condition of the property which you have renovated, repaired, converted or extended you should provide its proper cleaning. We offer highly effective after builders cleaning services which are implemented by hard-working and trained cleaning technicians. The work will be implemented according to the safety and health regulations. Use our inexpensive after builders cleaning services which we provide in Finsbury Park at affordable prices. Our cleaning technicians will remove all stains, paint splatters, dust and building leftovers from the property. They will hoover and mop the floors, wash the bathroom and kitchen appliances, sinks, taps and sanitary ware. Our staff will remove all debris, rubbish and construction materials which are left from the work of the builders. 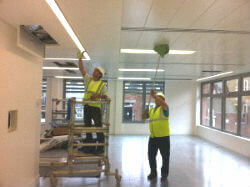 They will ensure the healthy condition of the property by removing the dust and dirt from it. If you have implemented any building, repair, refurbishment or home improvement work which have left your estate dusty and filled with dirt, use our professional cleaning services. Our cleaning staff will sanitise the interior and outdoor areas of the property using advanced machines, designed for this purpose. The after builders cleaning which we provide can be used in residential and commercial estates, located in Finsbury Park every day of the week. 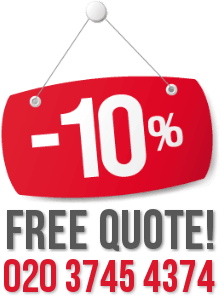 Book a free inspection of your refurbished property and we will prepare you a quote. For more information contact our customer support centre.